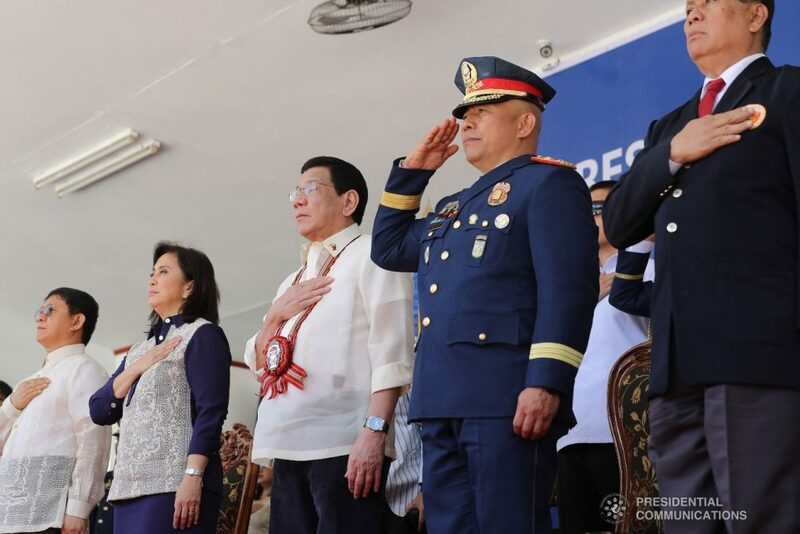 President Rodrigo Duterte and Vice President Leni Robredo may be on the opposite ends of the political spectrum, but they act civil when they see each other in public. 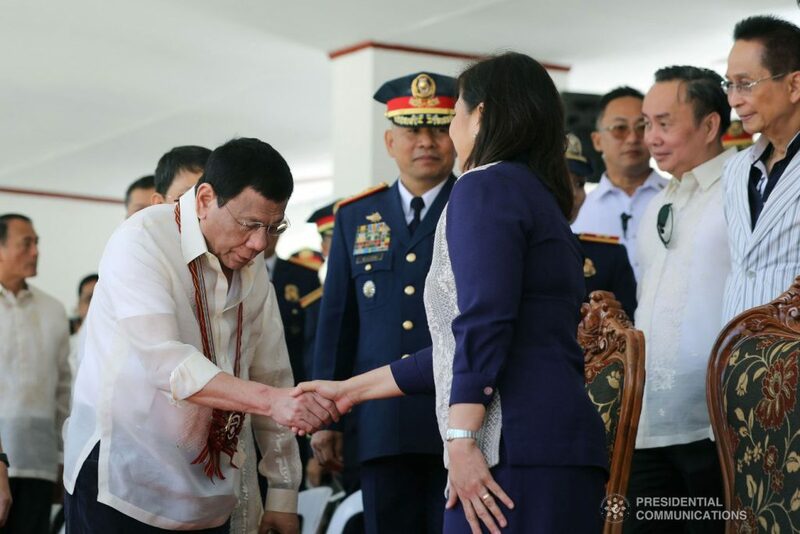 Duterte went beyond being a gentleman when he bowed to Robredo at the Philippine National Police Academy’s 40th Commencement Exercises on Friday (March 22) in Cavite. 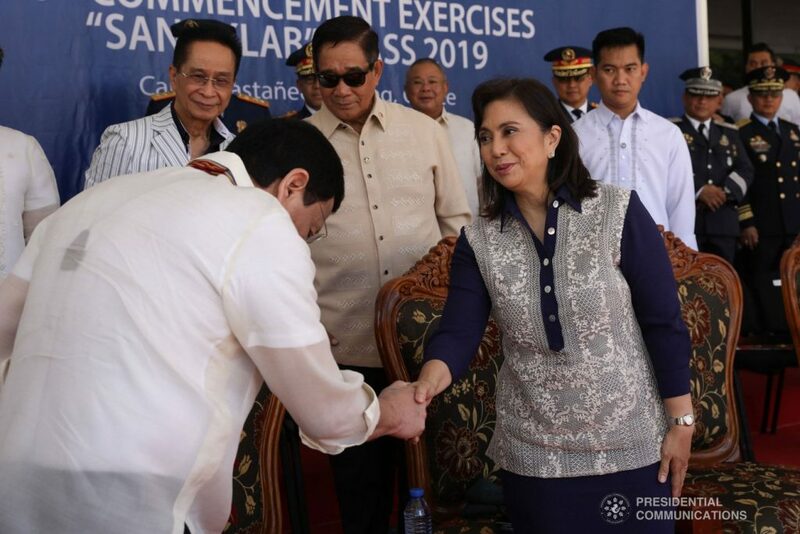 The President bowed his head as he shook Robredo’s hand when they met on stage at the graduation rites, which was held at Camp General Mariano N. Castañeda in Silang. 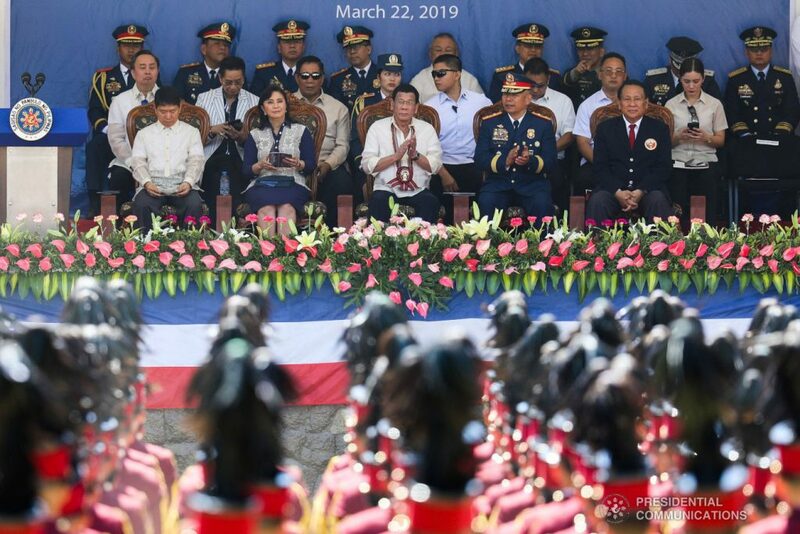 Duterte and Robredo sat beside each other at the event, though it’s unclear if they engaged in a friendly chat while the commencement ceremonies were going on. 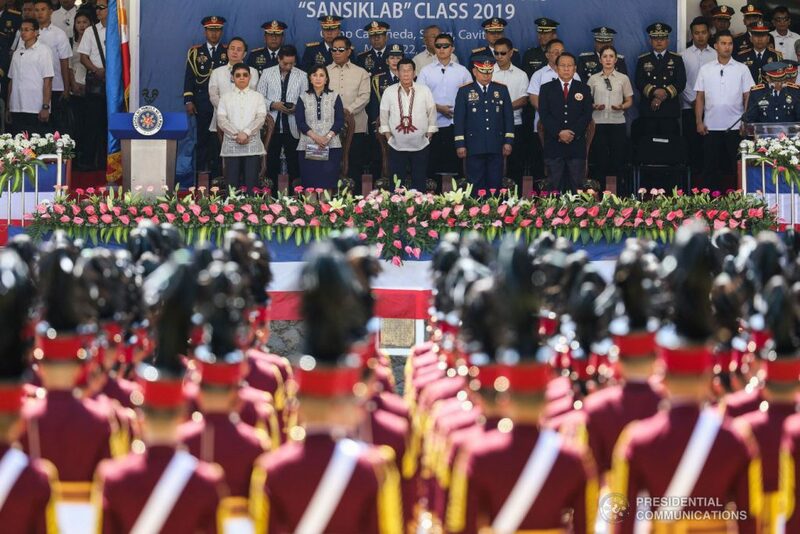 The President has often joked that the “Yellows,” or those associated with the Liberal Party, will rejoice if he dies while in office since he will be succeeded by Robredo.